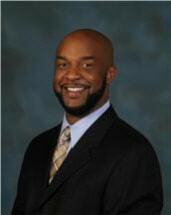 Dwight Burton has a vast array of experience, starting with his education. In 1993, Dwight Burton graduated from Bowling Green High School. He then went on to attended the University of Kentucky, where he received a BS in mathematics. He continued his education at the University of Akron; there he received a Juris Doctorate in law, and went on to serve his country while he was a member of the United States Army Reserve, 8229th Aviation Regiment, Fort Knox, KY. "Go Flying Tigers!" While in law school, Dwight Burton clerked at the Akron Civil Rights Commission and the City of Canton prosecutor's office, allowing him to gain a great amount of practical experience early on in his career. This experience became very useful later on while, when working for the Department of Public Advocacy, he represented over 1,000 clients in district, circuit, and family courts. To broaden the scope of the people he is able to help, Dwight Burton is a member of the Kentucky Bar Association, Tennessee Bar Association, Warren County Bar Association, and the Christian County Bar Association.